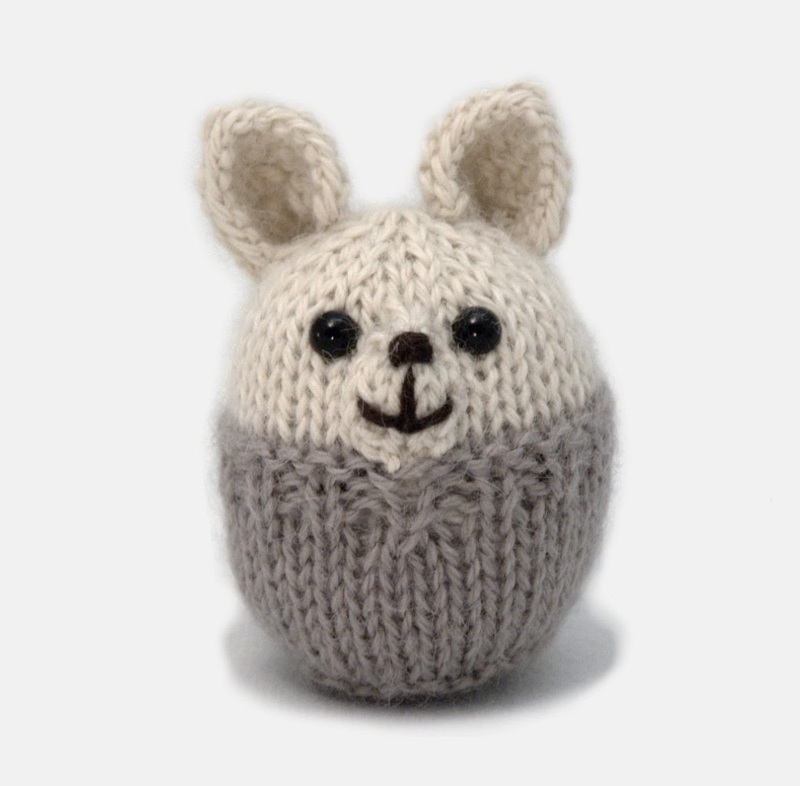 These Mini Pookies are super quick and easy to knit, using mostly basic knitting skills. The most challenging part is the shaped bobble that makes the nose of the Polar Bear and Arctic Fox, but there's only one per toy, and the stitches are useful to know. Since the idea of a sheep was also very popular, I decided to include that design too. 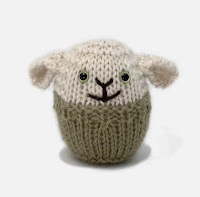 The Sheep pookie is even easier to knit, and just as sweet. To make them extra special, I used some left-over bits of Blue Sky Alpacas' Royal Petites yarn. 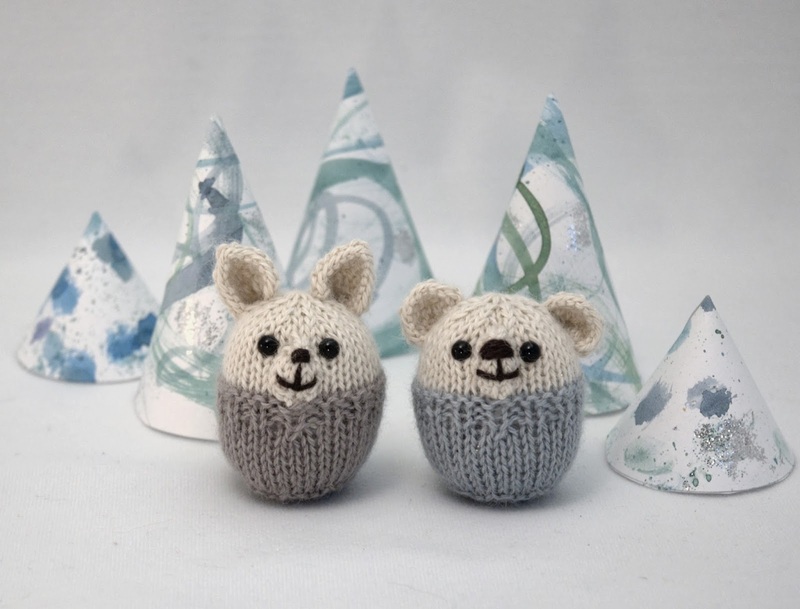 Since each toy only needs a few yards of yarn, they're perfect for using up tiny left-over bits, and totally worth the luxury of two little balls of extra nice yarn. 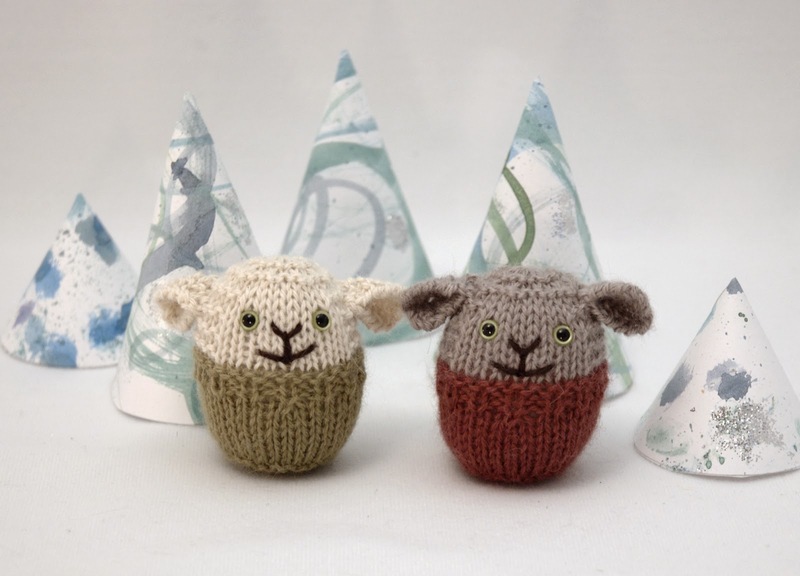 I hope you left an hour or two in your holiday knitting time to make some Mini Pookies to decorate your home, or pop into a lucky kid's stocking! P.S. 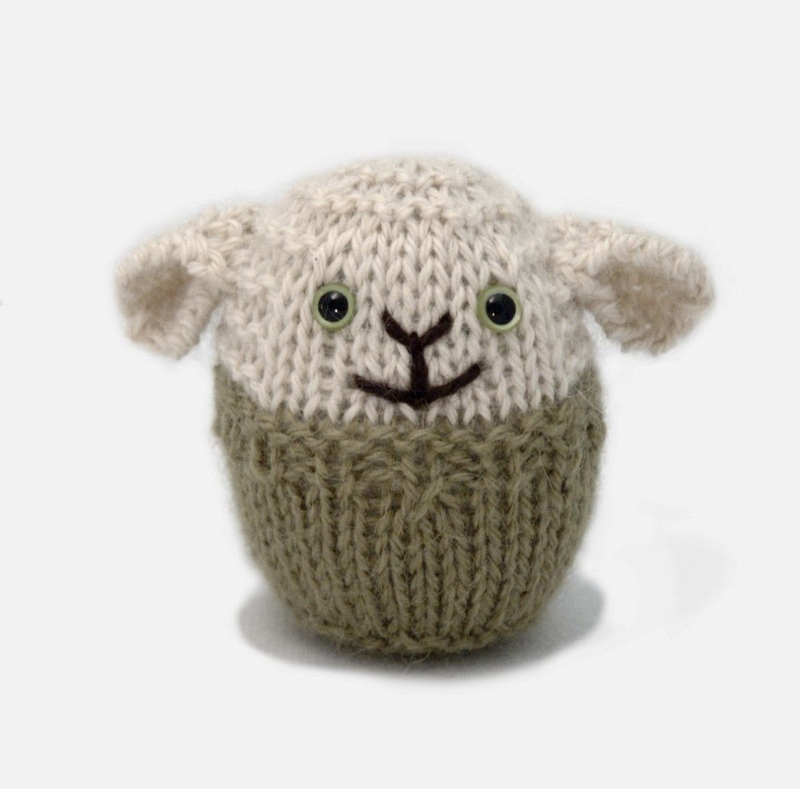 You can go here to download the PDF to take along with your knitting, or to send as a gift to a knitting friend. 5 g (about 15 m) of sport weight yarn in colour A, 7 g (about 20 m) of sport weight yarn in colour B, pair of 3 mm (US size 2.5) knitting needles, pair of 6 mm safety eyes, stuffing, black yarn to embroider the face, tapestry needle, 15 cm of cord for hanging (optional). 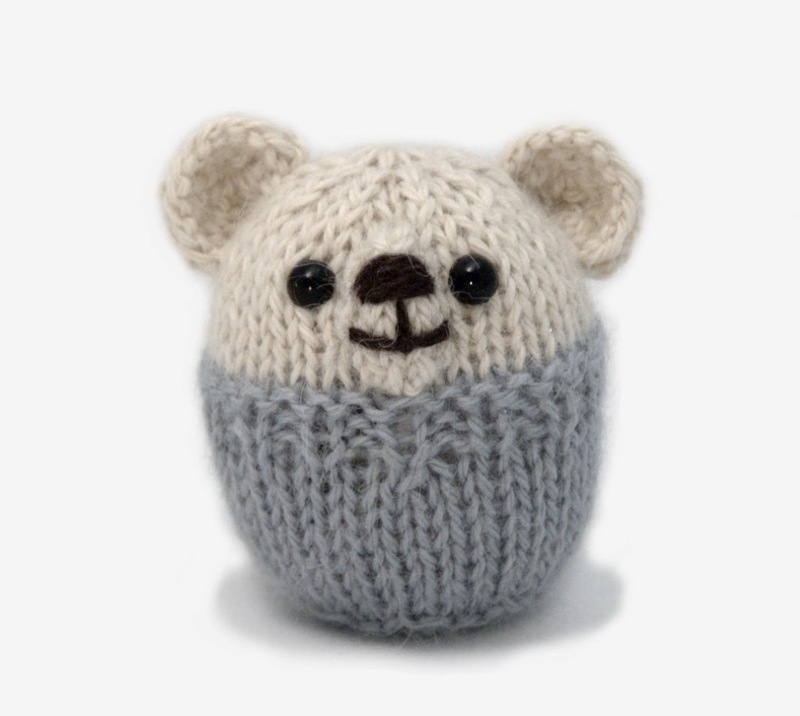 You could easily knit these in the round, if you prefer. Divide the stitches as evenly as possible between your double-pointed needles. Before working the final row of decreases, attach the safety eyes, weave in the yarn ends from the colour change, and stuff the toy. The ears must all be knit flat. Begin at bottom. CO 9 sts with yarn A. Row 7-13: Beginning with a P row, work 7 rows in st st.
Row 15-16: [k1, p1] to end. Switch to yarn B on next row. Row 21: p15, s1, p15. Row 22: k15, s1, k15. Row 23: p15, s1, p15. Row 24-25: Work 2 rows in st st.
Cut yarn, thread end through remaining stitches, and pull tight to gather. Put a tiny piece of stuffing inside the bobble, then carefully sew down the sides, knotting the yarn securely on the WS when you’re done. This makes the muzzle. Embroider a nose and mouth with black yarn. Attach the safety eyes. Gather together the cast-on stitches, then sew the back seam towards the head, leaving an opening. Stuff the toy, finish sewing the back seam, and weave in the yarn ends. Make a pair of ears. CO 13 sts with yarn B. Row 1: K 1 row. Row 3: K 1 row. Cut yarn, thread end through remaining sts, pull tight to gather. Sew the ears to the head: the CO edge is the top edge of the ear. Curving the edge sewn to the head will give the ears a more realistic shape. CO 15 sts with yarn B. Row 1-18: Work same as for Bear/Fox. Row 19: k11, p9, k11. Row 21-24: Work same as Rows 19-20. Row 25: k12, p7, k12. Cut yarn, thread end through remaining stitches, and pull tight to gather. Attach the safety eyes. Gather together the cast-on stitches, then sew the back seam towards the head, leaving an opening. Stuff the toy, finish sewing the back seam, and weave in the yarn ends. Embroider a nose and mouth with black yarn. Make a pair of ears. CO 3 sts with yarn B. Row 5-10: Knit in garter stitch. Bind off. Fold the ear in half lengthwise, then sew together the bound-off edge. Sew this edge to the side of the Sheep’s head, with open side facing forward and folded side facing backward. Weave in yarn ends. Repeat for the second ear. Thread cord for hanging under the gathered stitches on the top of the toy. Pull halfway through, then knot the two ends together. s2kp = decrease 2 by slipping 2 stitches as if to k2tog, knit next stitch, then pass 2 slipped stitches over the one knit. November 27, 2013 at 12:06 p.m.
November 27, 2013 at 5:00 p.m. Thanks so much love these. Be nice on a xmas tree as well. Will be doing loads of these. December 4, 2014 at 11:29 a.m.